Bishkek’s major Central Asian marketplace, Dordoi, according to Itar-Tass news agency, came under attack on Tuesday after several hundred people broke through the cordons of market guards and started looting the market. There were also reports from the same source that another mob in the hundreds was moving to downtown Bishkek from its southern outskirts. However, as Interfax news agency says, the police have blocked main roads leading to the city and the Interior Ministry claims that they have closed the Dordoi market and restored stability in the northern outskirts of Bishkek, where land raiders have staged fresh rallies. 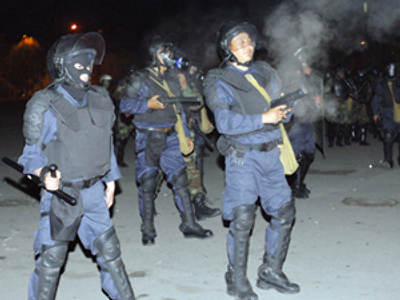 "The situation in Bishkek is under police control as a whole," a ministry spokesman claimed. Meanwhile, violence in the village of Mayevka is continuing on Tuesday, entering its second day. On Monday land raiders tried to seize the land plots, belonging to ethnic Turks in the village. The villagers showed resistance and the 1,000 ethnic Kyrgyzstanis then moved into the streets of Bishkek, smashing everything on their way. The police managed to disperse the rioters. However, after being thrown out of the capital, they came back to Mayevka on Monday evening and started attacking the villagers’ houses. On Tuesday, about 500 young men, armed with batons and stones, gathered again near the village of Mayevka and continued to demand the government to provide them with land. As Interfax reports, about 100 policemen with several armored personnel carriers are attempting to control the aggressive crowd. As a result of the clashes in Mayevka, five people have been killed and another 28 injured, a source in the Health Ministry told Itar-Tass on Tuesday. About 158 have been detained for participation in the violent unrests. Meanwhile, not only ethnic Turks, but also a big Russian Diaspora lives in Mayevka, and some reports say that the land raiders were also shouting anti-Russian slogans. Following the recent events, however, the Russian Embassy in Kyrgyzstan has confirmed that no Russian citizens were hurt in the riots. "There are no Russians [among the casualties]. The casualties are locals from nearby populated areas," said Russian embassy press attaché Viktor Kharchenko. However, according to Kharchenko, properties belonging to Russian citizens were damaged and the embassy is looking into information about the anti-Russian slogans that were allegedly used by the rioters. 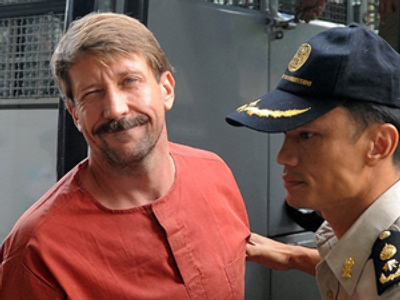 “We are very cautious about such statements. So far, we cannot confirm this information [about anti-Russian slogans]. We are closely monitoring the situation,” said the Russian diplomat. Another group of people demanding the government to provide them with land have gathered near the cattle market in the southern limits of Bishkek. The mayor of Bishkek, Isa Omurkulov, is trying to conduct talks with the land raiders. Following continuing unrest throughout the country, the interior government has decided to dismiss the Interior Minister Bolotek Sherniyazov, and replace him with his First Deputy Bakytbek Alymbekov. Meanwhile, panic is spreading among Bishkek residents. According to Itar-Tass news agency, people are taking their children from schools and kindergartens and going to the shops to stockpile on foods and other consumer goods in fear of shortages from potential looting. 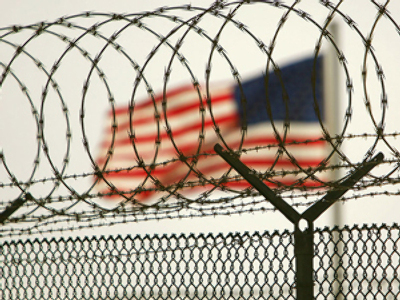 Many, including ethnic Russians, the agency says, are trying to flee the country. The Kyrgyz borders with the neighboring countries, though, remain closed, making this hardly possible. However, the country’s acting Prime Minister Roza Otunbayeva claims that the authorities control the situation in the capital Bishkek and Kyrgyzstan as a whole. 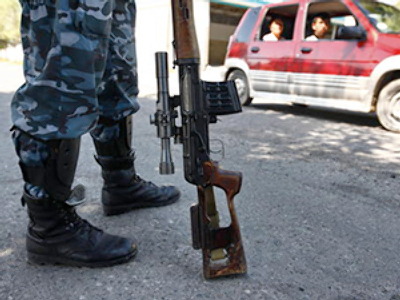 Interior troops and security forces are in Bishkek to control the situation there. Also more than 5,000 local militiamen, from a new force that has been formed by volunteers, will control the situation in the capital’s central square near the parliament building. Arsen Sarbagishev, deputy head of the militia headquarters, told Interfax on Tuesday: "The militia is being joined by those who care for the future of our revolution and who do not want to yield to the Bakiyev clan's provocations." Sarbagishev has accused Bakiyev’s clan of organizing the current unrests in the country: "We are convinced that the mess lasting since yesterday is being financed by the clan's loyalists. But their plans will fail. We will defend our homeland and our revolution." The interim leader, Roza Otunbayeva, has warned that despite the government’s measures, the “land seizures could repeat themselves.” However, she has praised the work of the current government, saying that its measures are more effective that the ones taken by the interim government after the “Tulip Revolution” in 2005. "I think we are acting more effectively than five years ago. All this lasted for thee months then. The government will be resolute in curbing such actions. Many of the organizers were detained yesterday, their identities are being established and inquiries have been launched into who has paid them," she said. She added that, so far, 40 alleged organizers of the recent unrest have been detained and the government is “working on the situation” in Dhalal-Abad, where rallies have been held in support of the ousted president, Bakiyev. However, she added that the government is not planning to use force in the region. However, not everybody shares the interim government’s optimism that the unrest in the country will soon be over. 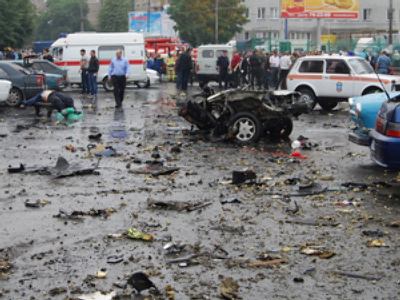 Uzbek President Islam Karimov has expressed concern that the situation in Kyrgyzstan could become get out of control. "There are serious fears that this could become permanent," said Karimov after talks with Russian President Dmitry Medvedev in Moscow on Tuesday, adding that the current situation in Kyrgyzstan runs counter to the interests of the neighboring republics. "Essentially, we need to revive the state, the state does not exist at this time. We are hoping that the interim administration of Kyrgyzstan will make all necessary efforts to achieve that." Medvedev added that complete economic co-operation is possible with Kyrgyzstan if administrative institutions are created in the country. "Legitimization of the authorities is extremely important, which means there needs to be elections, not a de facto fulfillment of powers. Only in this case can full-fledged economic co-operation be developed," Medvedev said. Sanobar Shermatova, an expert on Central Asia and Caucasus, thinks that peace will not return to Kyrgyzstan for several months at least. “I think that within the next few months Kyrgyzstan will be balancing between anarchy and the threat of bloodshed. Any conflict situation – looting, attacks on people, land grabs – needs an adequate response, and that means simply guards in the territory,” says Sanobar Shermatova. "If he ever returns to Kyrgyzstan, he will return only as a prisoner to answer for the bloodshed," the interim government's chief of staff Edil Baisalov told Interfax on Tuesday, adding that the relatives of those killed in the violent unrest at the beginning of April want Bakiyev to be prosecuted. "Bakiyev has lost the moral and legal right to remain the head of state in the eyes of the people. He has himself signed his own letter of resignation," said Baisalov. Meanwhile, as RIA News reports, citing Belarusian President Aleksandr Lukashenko, the deposed Kyrgyz president and his family have reappeared in Belarus, after leaving Kazakhstan on Monday. "Kyrgyz President Kurmanbek Bakiyev and his family are in Minsk under the protection of our state and under my personal [protection]," said Aleksandr Lukashenko, adding that Bakiyev arrived in Bishkek on Monday night. The Belarusian President earlier has offered the ousted Kyrgyz leader political asylum and his full protection and support. Also on Tuesday, a spokeswoman for loyalists of Kurmanbek Bakiyev told reporters on Tuesday that Bakiyev may return to Kyrgyzstan. She cited the ousted President’s brother Akhmat, who earlier denied reports of Bakiyev’s resignation, as saying that Kurmanbek Bakiyev was due to be back in Kyrgyzstan soon. According to the spokeswoman, Akhmat is in constant contact with the toppled President, according to Interfax news agency, which also reports that sources in Bakiyev’s entourage claim that the ousted President could reappear in Kyrgyzstan soon. 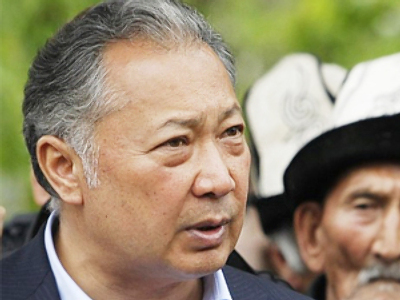 "Bakiyev will return to Kyrgyzstan soon. You will see. He is president and he did not step down," Bakiyev's nephew and active loyalist Azimbek Nureyev told Interfax. 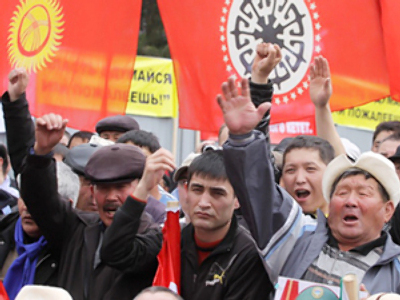 Read also – Kyrgyzstan: Civil unrest or civil war?